Our mission is to offer a trusted and friendly electrical service to the home owners of Hout Bay. We are all specialized in assisting the neighborhood with our expertise for all your electrical necessities. No matter what type of electrical job required all of us ensure excellent attention to detail. Regardless of how large or small the job, we constantly conduct the work ourselves and do not subcontract other electricians in the Atlantic Seaboard. Your fulfillment is our priority and the task just isn’t complete unless you are happy! Contact us 24 hours for any electrical help and advice, we are your neighborhood friendly electrician. 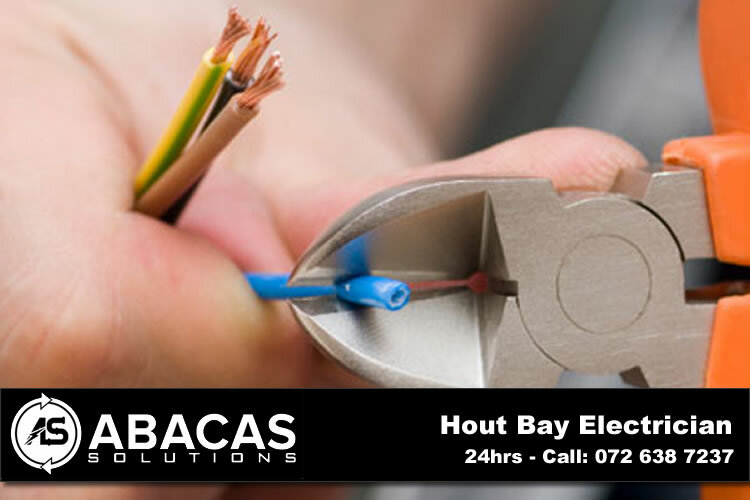 Phone Abacas Solutions Twenty-four hours a day, the friendly licensed electrical contractor in Hout Bay. No matter your need, just let our accredited, experienced and qualified techs sort out your company or household electric repairs. Hout Bay is totally safe with best electrical contractor. We offer inspections and can provide electric compliance certificates in the case of you selling your premises. Having more than Twenty years’ experience as being an electrician, Abacas Solutions electrical services is devoted to delivering an extensive domestic, commercial and industrial electrical service to just about all people all through Cape Town. With our main focus on client satisfaction, safety and dependability, Abacas Solutions can provide skilled electrical contractors who ensure your maintenance or any installment is from the best quality.